At sometime in your life; I'm sure you've heard it said, "Things aren't always what they appear to be." Well, when we sing the Christmas carol, God Rest Ye Merry, Gentlemen, this saying is certainly true. With the changing of word meanings and difference in cultures, it is hard for Americans today to understand what the English peasants were singing about 500 years ago-unless you know the story behind the song. The 15th century church sang only dark, somber songs usually written in Latin. When Christmas rolled around each year, songs of joy and happiness were not allowed in the church. To overcome this problem, the people took the singing of Christmas songs to the streets of jolly old London town. Soon, the waites, the night watchmen of that time, would be singing God Rest Ye Merry, Gentlemen as they walked the streets of London. Even Charles Dickens would include the song in his classic A Christmas Carol. This song was popular with the people because of a very strong message-one we desperately need today. Each Christmas, we greet each other with the word, merry, meaning happy. Back in the Middle Ages, the word "merry" meant great and mighty. For example, Robin Hood's merry men might be better understood as mighty men. Then, there's the word "rest." The meaning back then was keep or make. These original meanings would be clearer today with the addition of a modern comma. Thus, the true meaning of the song is "God make you mighty, gentlemen," which is a message for back then and a message for today. So many, at Christmas time, will never hear or see the true reason for this holiday which is Christ's birth. The activities, the distractions, the lack of time and money, will rob most of this important message. They will be deceived into thinking it's just another Merry Christmas, and the New Year will bring more heartache and pain. We, as mighty men and women, can make a difference this Christmas by living our faith before them. Amid the holly and the tinsel, we can tell them that Christ was born to die and that, in Him, we might live forever. 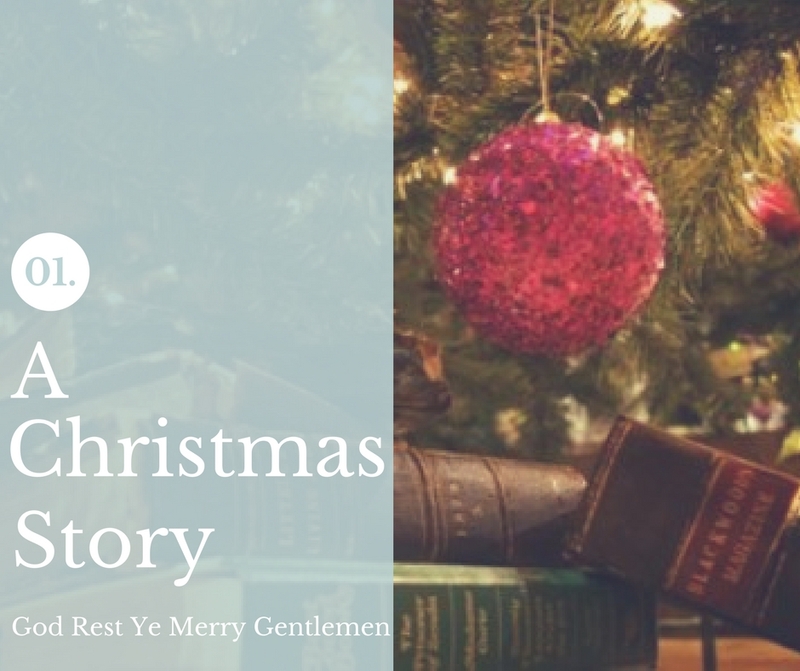 God Rest Ye Merry, Gentlemen is more than just a Christmas carol. It's our rallying song to show the world that, at Christmas time, things aren't always what they appear to be. Galatians 1:4 says this: "Jesus gave himself for our sins to rescue us from the present evil age, according to the will of our God and Father." This is what we are carrying when we sing/play the song God Rest Ye Merry Gentlemen and what a thrill to share this message!